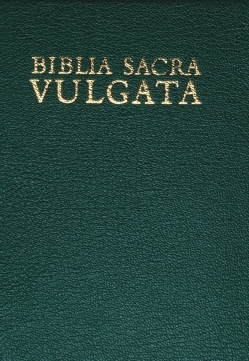 The Biblia Sacra Vulgata (Editio quinta) provides the standard scholarly text of the Vulgate by Robert Weber and Roger Gryson, also known as the the Stuttgart Edition of the Vulgate. It preserves much of the unique orthography of the medieval versions of the Vulgate, but standardizes the spelling of names and purges medieval corruptions of the text. This provides a consistent reading experience and a version of the text that resembles an early version of the Vulgate. This digital edition includes both the Greek and Hebrew Psalters and the Apocrypha, as well as 3 Esdras, 4 Esdras, Psalm 151, Prayer of Manasses, the Epistle to the Laodiceans, and Jerome's Prefaces. Please note: this edition does not include the apparatus, the Eusebian Canons, or the medieval chapter headings.